Welcome to GulfShoresBeachDays.com, I am Rod Fitts and my wife’s name is Kathleen. 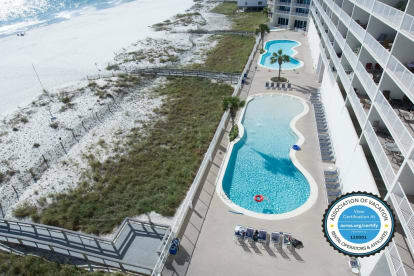 Our journey in the vacation rental business started in 2005 when we purchased Crystal Shores #1006 and Lighthouse #702 in Gulf Shores, Alabama. We launched this site 2011 as a place is to advertise our vacation rentals as we began to take more control of our business. Gulf Shores Beach Days has continued to grow and is now an official Chapter of the Association of Vacation Rental Operators and Affiliates (AVROA). We are very excited about this as we want the vacation rental business to stay the same personal business between owner and guest that we have known throughout the years and AVROA is dedicated to preserving that relationship. If you are looking for a family environment with world-class beaches without the hassles of having the entire world there with you, Gulf Shores, Orange Beach and Fort Morgan Alabama are where you want to be. They are simply some of the best kept secrets around. Clean, wide,white beaches, people walking down the beach road, local restaurants serving everything from boiled shrimp to Grouper Roulade. Welcome to the Alabama Gulf Coast. This is a place where families can come, relax and play without the huge crowds and distractions that are so common with other popular beaches. There is no shortage of attractions either. Of course the beach is everyone’s favorite but within a 5 minute ride you can enjoy any number of activities from the local zoo, the water park, the go-cart tracks and zip lines. There is para sailing, deep-sea fishing and some the best golf courses in the country. So make your reservations early and prepare yourself for one of the best vacations you have ever had.